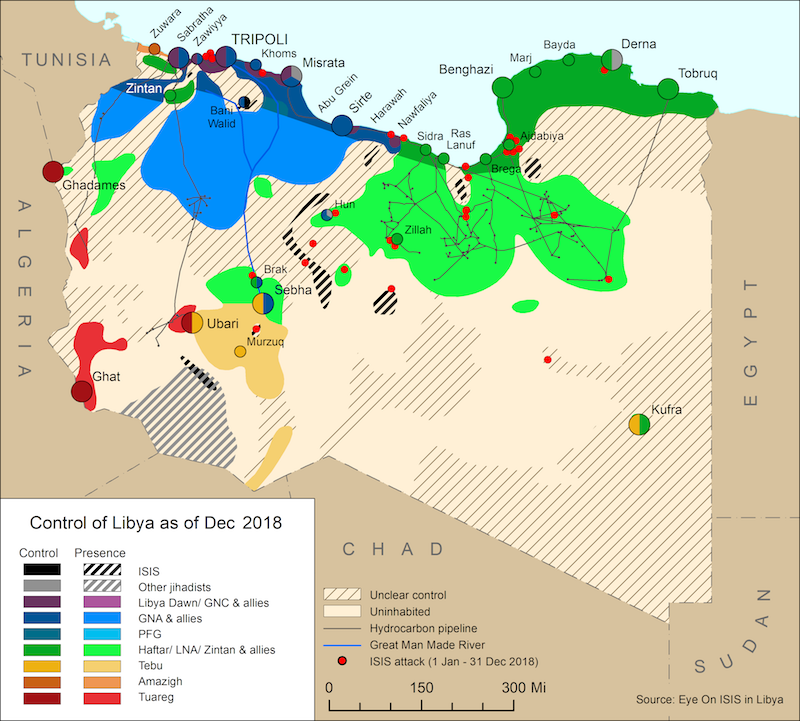 On 23 January, the Libyan National Army (LNA) spokesman Ahmed al-Mismari labelled UN Envoy to Libya Ghassan Salame as an ‘opponent’ and a part of the Libyan crisis. Mismari said that the LNA would not leave Libya like Lebanon, as ‘a country of militias and multiple authorities.’ Mismari claimed that Salame was surround by ‘graduates’ of Tora Bora – the Afghan mountain used as a refuge by the former leader of al-Qaeda, Osama bin Laden. The military campaign launched by the Libyan National Army (LNA) to exert its control over the southern region made notable progress over the last week, especially in Sebha. On 28 January, a delegation of ministers from the eastern parallel government visited Sebha, reportedly including the interior, health and junior justice ministers. The LNA has managed to secure much of the city’s northern, western and eastern districts, strategic sites used by armed groups of various affiliations, as well as their arms and ammunition. 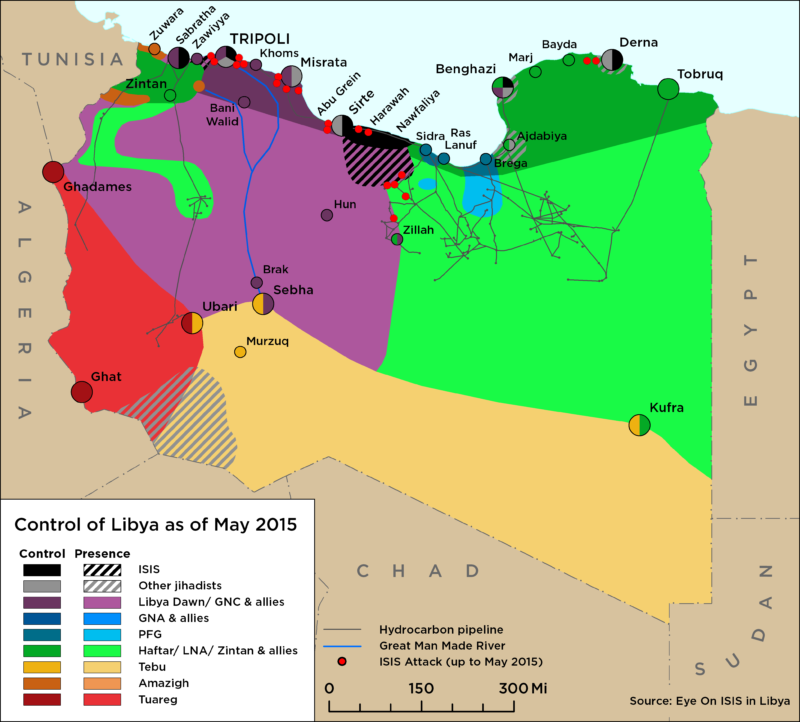 Normal movement has reportedly resumed in several areas as LNA-affiliated units manned checkpoints and took control of sites. The campaign has generated some support among Arab, Tebu and Tuareg tribes, including in the Murzuq basin where the Sharara and al-Feel oil fields are located. However, some among the Tuareg and Tebu, as well as some Arab tribes, continue to oppose it. Some Tuareg communities from Ghat and Awbari have made televised statements condemning the LNA campaign and threatening to use force to protect their regions should the LNA encroach there. Libyan Tebu communities in Sebha and Qatrun further south, close to al-Feel field, have generally welcomed the campaign but the local mayor of Qatrun has voiced concerns about the LNA encroaching violently in the area, demanding only security support. On 26 January, the head of the High State Council (HSC) Khalid al-Mishri released a video statement saying he was withdrawing and resigning from the Muslim Brotherhood (MB) on ideological and national groups, as well as for the sake of conviction and transparency. Mishri stated that the MB had not implemented its promised reforms from 2015. However, Mishri stated he would not be withdrawing from political work and that he still maintained respect for the MB.